This is a fun video that Jersey Fashionista and I put together at our studio last minute. It was a process because we had limited beauty products on hand, both of our cameras died and we had to leave our studio by a certain time for other appointments. So basically this is a fabulous hot mess but don't judge we laughed at ourselves in the process. 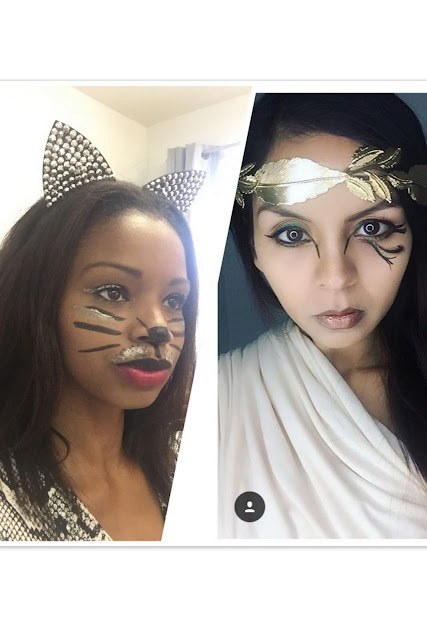 A cat that turned into a glitter sparkly cat a roman goddess that turned into a Greek goddess...Enjoy this entertainment ladies!